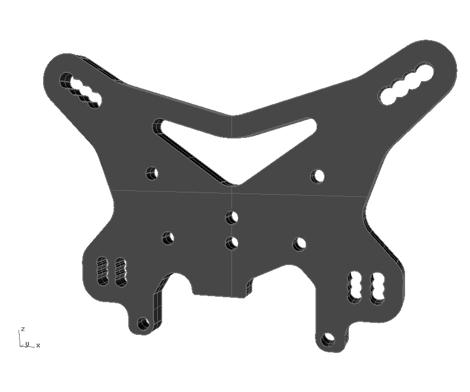 Bezerk RC replacement tower for the Losi 8ight 4.0 buggy. Designed to lower the center of gravity but add smoe strength over the 4.0mm version. Has the same geometry as the original. Made from gloss finish 5.0mm carbon fibre. Can be customised if required like all Bezerk products.